African-American millennials are 57% more likely to drive a Cadillac than other millennials, according to a study from Viant. The demographic group is 40% more likely than other millennials to drive full-size cars, per "The Marketer’s Guide to African-American Millennials” from Viant, a Meredith advertising technology company. African-American millennials are 5% more likely to drive mid-size cars than other millennials and 13% less likely to drive SUVs than other millennials, according to the report. The group is also 40% more likely to drive a Lincoln and 27% more likely to drive a Buick than other millennials. The African-American population is comprised of 74.5 million people, with a strong purchasing power of over $1.2 trillion a year — in fact, total African-American spend is projected to reach $1.4 trillion by 2020 (a 275% increase since 1990). With more than 25% of African Americans in the millennial group, they are a driving force of the U.S. economy. According to the most recent National Household Travel Survey, fewer Americans overall are driving than ever. However, driving has actually increased in the last decade for millennials who earn less than $50,000 a year -- a category comprising 64% of African-American millennials. “While it's true that car ownership dynamics are changing with the rise of ride-sharing services, and overall driving has gone down for most Americans, this has not necessarily been the case for African-American millennials, making them an important demographic for automotive marketers,” Jon Schulz, CMO, Viant, tells Marketing Daily. 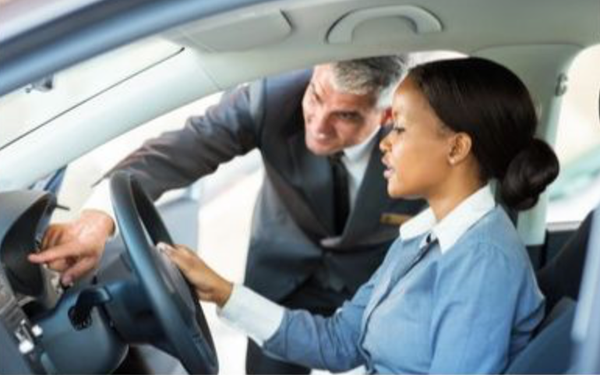 As for other brand preferences, African-American millennials have strong preferences when it comes to rental car providers. African American millennials are 3.3 times more likely to rent from Enterprise, and 2.3 times to rent from Hertz. When members of this demographic group sign on with a mobile phone provider, they are 38% more likely than other millennials to use T-Mobile, 20% more likely to use Sprint, and 28% less likely than other millennials to use Verizon. When it comes to favorite food and beverage choices, African-American millennials are 78% more likely to purchase Ruffles compared to millennials in general. And African-American millennials are 30% more likely to purchase Heineken compared to other millennials. “Millennials have a great deal of spending power, but considering they are the most diverse generation in America, they are not a singular demographic,” Schulz says.